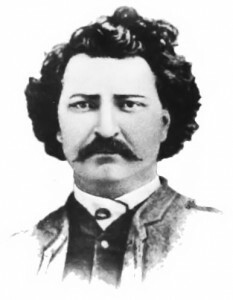 A controversy has erupted over the past week surrounding how Canadians should remember Louis Riel, a 19th century Métis who not only led the 1869 Red River and 1885 Northwest Rebellions, but also negotiated the terms for Manitoba’s entry into Confederation in 1870 before his execution in 1885 for high treason. In March 2010 the Qikiqtani Truth Commission (QTC) will draw to a close with the release of a final report and recommendations for the future. While the QTC has been ongoing since 2007 most Canadians remain unaware of its existence, and of the historical and social issues that it addresses. The QTC was created with a mandate to research and report on the facts surrounding the alleged dog slaughters, relocations and other government policies that affected Inuit communities in the Eastern Arctic between the period of 1950 and 1980. As part of completing this mandate archival research has been conducted, witnesses have been interviewed and oral histories have been collected in several northern communities. In addition to uncovering the facts, the QTC website (http://www.qtcommission.com/) also indicates that the purpose of this commission is to ultimately promote healing and reconciliation between Inuit communities and the Government of Canada. I was interviewed last week for an environmental history podcast. I was pretty excited as I listen of all kinds of podcasts including a number of history podcasts. While there are not nearly enough high quality history podcasts, there are some really good general podcasts that deal with history on a regular basis. Two of my favorite are BBC Radio 4 shows that are re-posted online: In Our Time (iTunes) (Website) and Thinking Allowed (iTunes) (Website). In Our Time records discussions of round tables on a wide range of interesting topics. These include history, the history of science, the history of literature and the history of philosophy. They normally attracted some of the top academics in the field and the host, Melvyn Bragg, is adept at keeping his guest on track. Thinking Allowed tends to focus on sociology research, but it regularly features social and cultural history. This show interviews the authors of recently published academic papers. The host, Laurie Taylor, is skilled at picking apart these academic papers and presenting them in a highly accessible manner. The show really highlights the interesting and important research published by social scientists and would be a great model for public broadcasters or independent podcasters in North America. The BBC also posts a History Magazine podcast that I discovered when researching this blog post, but have not listened to (iTunes)(Website). Here in Canada there is a lot less to choose from. CBC’s ideas (iTunes) occasionally deals with history or the history of ideas and our popular history magazine, Canadian History (formerly the Beaver) posts some short interviews (iTunes). The Network of Canadian Environment and History produces a great podcast that I will address further below. Storytelling has long been an important aspect of the historian’s craft. The move beyond exploring traditional archival material, which privileges the voices of the literate and often the powerful, towards the collection of oral history, has been an exciting development in historical scholarship. On the other hand, the use of oral history has been ripe with paradoxes. Historians conduct oral interviews, which they then transcribe to written word. From here, they pick a few, hopefully representative, quotes from multiple interviews to integrate into their work. The completed academic project may or may not be accessible to the interviewees. Furthermore, a significant power imbalance exists between researcher and interviewee; the historian holds ultimate authority over the story that eventually emerges from their research. Traditionally, then, the historian, as mediator between interview material and the information that reaches the public, has been the predominant storyteller in narratives of history. An innovative project at Concordia University seeks to revolutionize the way that oral history is collected, archived and accessed. The Centre for Oral History and Digital Storytelling (http://storytelling.concordia.ca/oralhistory/index.html), co-directed by two history professors, Steven High and Elana Razlogova, has been built around the idea that the stories people tell matter. The Centre not only facilitates the collection of oral histories for researchers, but privileges storytelling in the words and voices of those who lived through historical events by digitising video and audio recordings (http://storytelling.concordia.ca/oralhistory/projects/projects.html), and by seeking alternate ways of presenting research findings that move beyond the written word. One example of an important project the Centre is engaged in is the Life Stories of Montrealers Displaced by War, Genocide, and Other Human Rights Violations (http://www.lifestoriesmontreal.ca/). University and community-based researchers are in the process of recording “the experiences and memories of mass violence and displacement” of over 500 migrants to Montreal. This material is posted on the web, so that anyone with access to an internet connection can hear stories of the experiences of refugees from Cambodia, Haiti, and Europe, to name but a few, in their own voices. Committed to the idea of “sharing authority,” the site also contains resources for oral history researchers (http://storytelling.concordia.ca/oralhistory/resources/resources.html), including ethical guidelines and training material for the interview process. Such materials include a list of sample interview questions (http://storytelling.concordia.ca/oralhistory/resources/tips/Documents/Sample_Questions.pdf). While questions posed by an interviewer can signficantly impact the content of the life stories recorded, the transparency of this process as it is featured on the site is admirable. Affiliates are also welcome to use the Centre’s state of the art facilities, which provide access to technologies and equipment that aid in the collection and digitisation of life stories. The site also includes blog updates, access to articles and databases of oral histories, among many other features. The Centre has done an incredible amount of work since the doors were first opened by Steven High on 10 September 2007. Those interested in oral history would do well to monitor its future developments as it continues to probe how digital technologies can highlight the power of the spoken word. It is also an excellent resource for educators and interested community members. In “breaching the divide between the ivory tower and the street,” as Steven High aptly puts it, this massive project serves as an excellent example of how technology can be harnessed to make history more accessible and relevant to a public audience. An innovative project at Concordia University seeks to revolutionize the way that oral history is collected, archived and accessed. The Centre for Oral History and Digital Storytelling, co-directed by two history professors, Steven High and Elana Razlogova, has been built around the idea that the stories people tell matter. The Centre not only facilitates the collection of oral histories for researchers, but privileges storytelling in the words and voices of those who lived through historical events by digitising video and audio recordings, and by seeking alternate ways of presenting research findings that move beyond the written word. their city’s Court House. It was the first recorded national political action undertaken by gay liberationists and lesbian feminist activists in Canada. ”We Demand” marks the fortieth anniversary of the 1971 action. The conference seeks to showcase current work on all aspects of the history of sexuality in Canada, from pre-contact to present times. Other confirmed speakers include Mary Louise Adams, Karen Dubinsky, Gary Kinsman, and Steven Maynard. 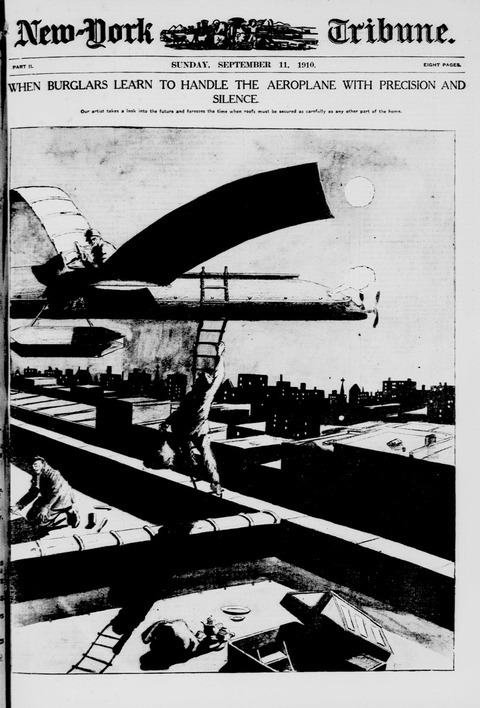 Ever since burglars learned to perform effective aerial assaults, society has been in a downward spiral (see photo). It’s unsettling to know that someone can fly in, sneak down the chimney and make off with all your hard-earned space credits. Good thing at 122 years old, you’re now considered middle aged and have some time to recoup your losses before retiring to the moon. Historians often study what people in the past were like, but few stop to look at what they thought we’d be like. Stepping in to fill that role is St. Paul, Minnesota based writer, Matt Novak, who has kept a blog, Paleo-Future: a look into the future that never was since 2007. With each entry, Novak guides readers onto a brief sojourn into the past where they can look forward at what our own society might have been. 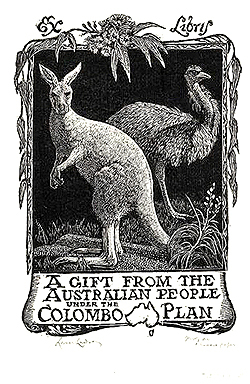 Inspired by a childhood trip to Disney’s out-dated “Tomorrowland” exhibit, Paleo-Future uses copies of primary sources and brief commentary to engage readers, many of whom may have grown up during the 50s, 60s and 70s, when the majority of the predictions showcased on the blog were first made. Before going their separate ways, Vietnam and Cuba followed similar political and economic paths, making the impact of economic freedom on each country’s development very clear, both directly and comparatively. This paper will not discuss full employment, because in Communist Vietnam, as in today’s Cuba, everyone theoretically had an assigned job—even if it was not the job that one hoped for, or at the location that one preferred, much less at the salary that one wanted. Nor will I evaluate the progress of “liberalism”, since the term implies political freedom; I will simply examine the consequences of legalizing formerly banned economic activities. Click here to read full paper. Click here to read the original French version.